An accomplished professional, Leesa Plotner Sutton has made an impact in the manufacturing and, most recently, the technology and communications industries. As Vice President of a local digital marketing and software company, she leads an energetic and talented team in providing bold digital solutions to sales and business challenges. A renaissance individual, Leesa has learned to persevere and enjoy all that life offers. After spending time in the retail industry, she moved into the business environment first as a receptionist and later, establishing a new department as a Traffic Manager at Communica, Inc., a local Toledo advertising firm. Upon earning an associate’s degree in marketing and sales from Owens Community College, she spent the next five years in sales and business development with The Macomb Group, a Top 10 distributor of pipes, valves and fittings; and Rodem, a sanitary solutions provider. She also became a licensed Ohio Realtor. Like many others, Leesa was negatively impacted by the 2008 financial crisis and the effect it had on businesses. Finding new full-time employment became a bigger challenge than she expected so she decided to return to school to expand her career opportunities. However, soon after registering for classes, Leesa’s world was shaken. Her young son Kinser was admitted to the hospital and was diagnosed with an incurable, albeit treatable, chronic disease. Struggling with her decision to return to school, she was offered invaluable support from her family that allowed her to maintain her focus on school while also being able to care for her son and his new medical needs. One of the requirements of a Lourdes Bachelor of Science degree in the College of Business & Leadership is to fulfill an internship. Having already obtained ample professional experience, Leesa wasn’t sold on the internship requirement. “I really didn’t want to do it. As a single parent, I was already dealing with so much and I was putting in more than a full-time schedule at school to expedite my time to graduation. However, it was a degree requirement and it was my last semester,” she says. As luck would have it, Leesa bumped into a former professional acquaintance who offered her an internship at their company, AVATAR, LLC. The savvy marketer quickly began learning and gaining knowledge about project management, building websites, content management systems and more. Within a few months, her professional and personal life blossomed. Her son’s health had improved, she graduated with dual bachelor degrees in health care management and marketing, and she was offered a full-time position as Account Executive at AVATAR. Over the next five years, Leesa was promoted first to Director of Client Services and then last year – to her current position as Vice President. 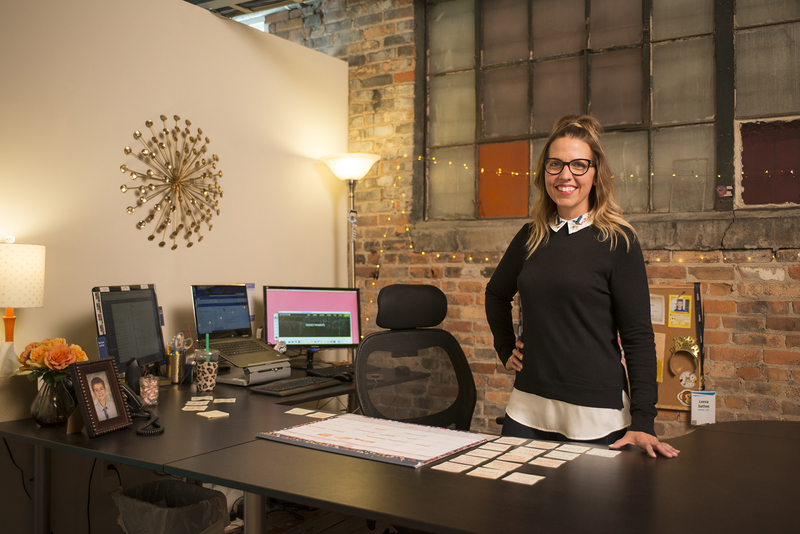 Working with a talented team, Leesa and the AVATAR staff implement digital business solutions for numerous clients, both locally and nationally, out of the business located just north of downtown Toledo in the Vistula Historic District. I had the pleasure of working with Leesa early in her career and am not surprised at the heights she has climbed! She’s excelled in every area! Best wishes for continued success, Leesa!